Give your optics and accessories 7" of mounting length with the Weaver Extended Multi-Slot Base. 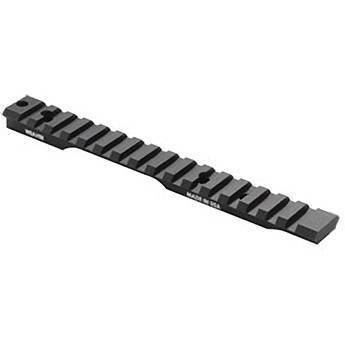 This multi-slotted, single-piece rail is designed to fit on Winchester 70 Long Action rifle and offers Picatinny and Weaver mounting compatibility. It is made of lightweight and durable 6061-T6 aluminum alloy and treated with corrosion- and abrasion-resistant Type III hard anodized finish.